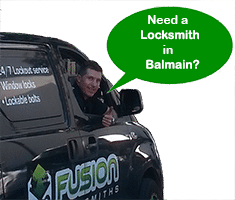 Your Balmain Locksmith – The Best in Locks Around Town! Have you had your keys stolen? You have come to the right place – this is what we do every day – getting people back to being safe and sound. Your Balmain locksmith can fix or install anything to do with locks and security on any type of door, window or opening, whether you live in a 100 year old semi-detached or a new apartment. No job is too big or too small, no job is too hard, so get on the phone and speak to a qualified locksmith at Fusion Locksmiths. 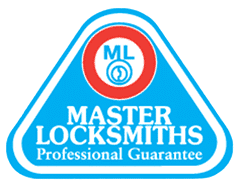 Fusion Locksmiths provide more than just great service, we also use major brands for locks, hardware and security, so you know you are getting the best! Fusion Locksmiths have all manner of solutions to increase the security around the home. From intercoms and access control to monitor people coming onto your property, to padlocks for gates and locks for garage doors. Whatever the entrance, Fusion Locksmiths have the lock for it. Minimise your risk of break-ins with good security solutions to suit your home and lifestyle. Fusion Locksmiths offer all locksmith services, from a simple rekey or jammed lock to complex modern security systems for extra tight security. No matter what you want secured, we have the know-how to get it done right. 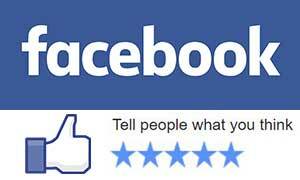 Our mobile workshops give you fast service on our first arrival. With all the right equipment on every truck, we can fix your security issues on the spot. No need to come back for a second time, in most cases. Now that’s what reliable service looks like. Sorry to hear that, but we are hear to help. Call Fusion Locksmiths now on 0449 777 989 for fast, 24 hour emergency service. We can get you back inside and repair or replace any broken locks, so you can feel safe again.